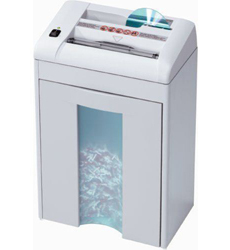 Destroyit 2270SC Strip-Cut Shredder is ideal for offices, homes and small work places. It is safe to use because of its safety features and it is quiet and powerful in performance. This shredder also has the ability to shred CDs, credit cards, paper clips and staples as it is equipped with hardened steel cutting shafts. 2270SC Strip-Cut is totally affordable because of its several benefits. Dimension 8 3/4" x 13 1/2" x 21"